Ouch! Ouch! Ouch! | Spaceship! Spaceship! Spaceship! 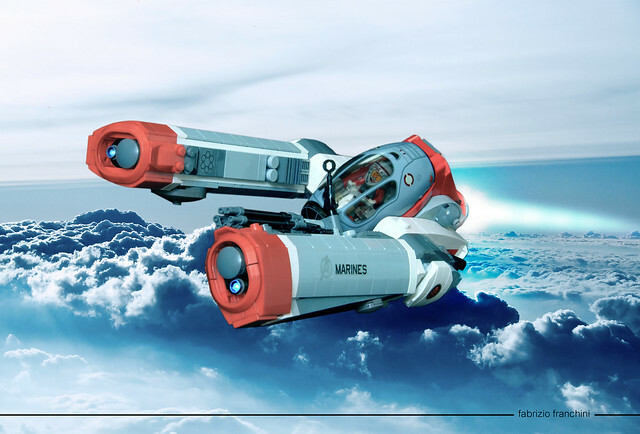 This LEGO Starfighter by Faber Mandragore is the visual equivalent of a punch in the face! I love the two huge, brutal side engines and the big, somewhat ugly cockpit section. The whole thing looks functional and entirely no-nonsense; like a mean right hook to the jaw. The colour scheme is also spot on, primarily light grey and white with eye popping red accents. 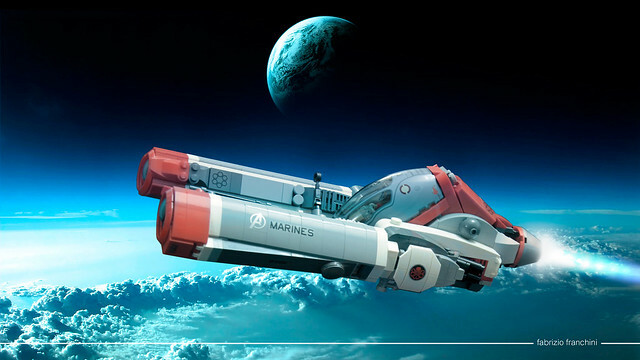 The builder has also excelled himself with some in-space photos with excellent post processing – note the way the colour of the red LEGO parts has become muted to fit the palette of background image. This entry was tagged minifig scale, MOC, swooshable. Bookmark the permalink.